We purchased Red Zone because of his body length and body mass. Our first year we used him on lots of heifers and we did not realize how easy he would calve. If you want calving ease with no worries, his sons are for you. 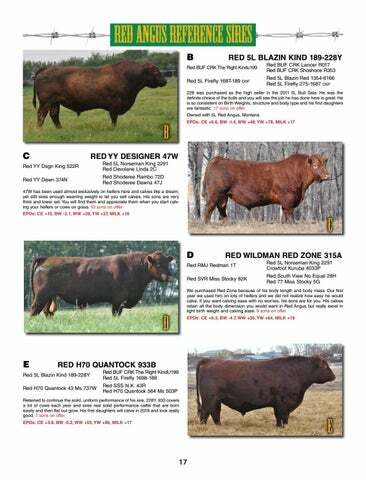 His calves retain all the body dimension you would want in Red Angus but really excel in light birth weight and calving ease. 9 sons on offer.